Band’s are pretty good at following directions from their music video directors. If I were the artist on this shoot though, I’d have to pass on burying myself in the sand while the tide is coming in. “Agape” by Bear’s Den, from their debut album “Islands” (out now on Communion Records/Caroline International). It is no wonder! 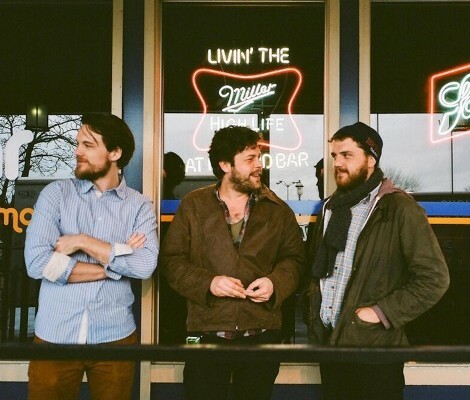 The record label co-founded by Mumford & Sons’ Ben Lovett, Communion Records, have just released (27 August) the debut EP by Bear’s Den titled ‘Agape’. The English folk trio will be touring with the Mumford boys & Daughter in the coming weeks are; Andrew Davie, Joey Haynes and Kevin Jones. The title track, “Agape” pronounced ‘ah-gah-pay’ from the Greek word for a distinctly spiritual type of love, is a standalone piece and deliciously impressive. You’ll be instantly won over by their multi-instrumental talent and with all things considered, for a debut of a band that’s only been together for a year – we tip our folk-hats to ‘ya fella’s! You can stream the 5-track EP in its entirety via Paste Magazine here.